One person, solo backpacking tents are ideal if you’re thru-hiking, fast-packing, or backpacking big miles and want to trim your gear weight as low as possible. More livable than bivy sacks, one person tents are designed for sleeping and bad weather protection. While some solo tents are more plush and spacious than others, you almost always have to choose between competing priorities including weight, ease of use, durability, and cost when selecting one. This can make it tough to choose between tents, especially since few stores have display models anymore. Taking these different priorities into consideration, here are our picks for the top 10 one-person tents of 2019. The Big Agnes Copper Spur HV UL 1 is a spacious 34 oz high-volume, double-wall tent with an easy-to-set up hubbed pole architecture. The large, dual-zipper door makes entrance and exit easy and creates a large vestibule for ample gear storage. A large ceiling pocket and side pockets provide excellent storage space, while mesh sidewalls provide extra privacy. The high quality of the Copper Spur and its durable construction make it a backpacker favorite. Weighing just 26 oz, the NEMO Hornet 1 is a lightweight double-wall tent with a side entrance and large vestibule for ample gear storage area The hubbed pole architecture provides easy set up, with excellent ventilation between the inner tent and rain fly to help reduce tent condensation. Aerodynamic vents encourage airflow, while the high bathtub floor prevents cold wind from chilling you inside. White mesh on the tent sides provide extra privacy, while black ceiling mesh is virtually transparent to provide bug-free star-gazing. The MSR Hubba NX 1 is a 39 oz double wall tent with a side entrance and vestibule so you can store your extra gear under cover and still get in and out of the tent easily. The tent is easy to set up with a dual hub pole structure that provides excellent head and foot room, in addition to an overhead eyebrow pole that creates vertical side walls to increase livability. The carbon fiber pole structure provides excellent stability in wind conditions, while rain fly vents help prevent internal condensation. The REI Quarter Dome SL 1 is a highly livable 31 oz double wall tent with vertical side walls and plenty of head and shoulder room. The hubbed and shock-corded pole assembly is color coded to simplify setup, while adjustable stake out points make stake placement easy and allow for quick vestibule tensioning. Abundant mesh and a roof vent help prevent internal condensation while a variety of pockets and hang loops help organize the interior. This tent is surprisingly affordable and quite a good value. The North Face Mica FL 1 is a 32.5 oz double-wall tent loaded with mesh for great ventilation with ample headroom.. A deep bathtub floor with taped seams protects against splashing rain while internal pockets provide gear storage. The tent’s hub-style aluminum poles lock into corner grommets making set up fast and easy while requiring just 1 stake to for the door. A large side entry door provides easy access, while the rain vestibule provides valuable gear storage. Read our review. The MSR Carbon Reflex 1 tent offers the full protection, durability and simple setup of a double wall tent with the ultralight weight and packed size of a tarp shelter. Weighing just 23 oz, it packs up small and sets up quick, conveniently fitting into narrow tent spaces with ease. The tent’s carbon fiber poles are exceptionally lightweight and strong, providing excellent wind resistance, while eliminating the need for a bulky multi-way hub or awkwardly pre-curved poles. Read our review. The ZPacks Plexamid is a hybrid, single-wall, double-wall tarp tent with a floating bathtub style floor and mesh front wall. Weighing 17.9 ounces, the Plexamid is sized for one person plus their gear. It requires one trekking pole or tent pole (optional) to pitch and has a front vestibule which can tied open in good weather. The Plexamid, like all of ZPacks shelters is made with DCF (formerly called cuben fiber), which is a very lightweight and waterproof laminate that is taped and sewn together. DCF can be rather noisy in heavy rain and provides limited privacy since it’s translucent, but it is puncture resistant and easy to repair with tyvek tape. Gossamer Gear’s “The One” is an ultralight, single-walled trekking-pole tent that weighs 22.4 oz. It has a spacious interior that’s a palace for one, with excellent ventilation to help prevent internal condensation. Factory seam-taped, there’s no need to seam seal The One which is made with an ultralight silpoly instead of cuben fiber to help keep its price competitive. The front vestibule is quite large with a zippered center opening which can be closed shut in inclement weather, or rolled back for views and ventilation. The vestibule is also large enough to store your pack under one of the doors and get in and out through the other. Read our review. The Tarptent Rainbow is a 35 oz, one-person single-wall tent that requires one tent pole. It has a floating bathtub floor which is connected to the rain fly with noseeum netting in order to provide optimal ventilation. The interior is quite wide and long, providing abundant interior living space and making the tent suitable for tall users. There’s a large mesh-backed front vestibule for gear storage that can be left open at night for additional ventilation. The tent can also be reconfigured to be freestanding using trekking poles, which is useful for setup on rock ledge or tent platforms. Made of silnylon, the Rainbow must be seam-sealed. The Six Moon Designs Lunar Solo is an ultralight style, single wall tent that’s pitched with a single trekking pole. Weighing just 26 ounces, the Lunar Solo is quite lightweight and easy to set up. It has a bathtub style floor to prevent flooding in rain and a side door, making entry easy. The interior is quite roomy, with a hexagon shaped floor, providing room to store your gear in the tent, and plenty of head room to sit up inside. A large vestibule also provides gear storage and room to cook in bad weather. Read our review. How do we know what the top 10 one person tents are? We survey our large readership to ask. If you’d like to participate in our surveys, be on the look up for the gear raffles we run every few weeks on SectionHiker, where we give survey participants a chance to win. Or sign up to the weekly, award-winning SectionHiker newsletter, so you never miss out on an opportunity to participate. We hate spam, so we’ll never share your email with anyone else and you can unsubscribe at any time. 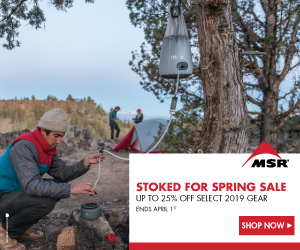 Have you looked at MEC’s Spark 1 this year, at all? Just thought I’d mention. Double wall, super light, quick pitch. I’m 5’8″ but a burly guy, so it’s snug. <2lb. Better waterproofing than the MSR same range, so MEC says. I"ve pitched it, but not over night with it yet.. but good member reviews, even on the PCT in the Cascades. I had a bad experience with the North Face Mica and advise caution. I set it up in my basement for the first time (never even got it outdoors) when the tabs holding the poles started to tear away. They were glued in place, rather than sewn and glued, and too weak. This wasn’t carelessness on my part, but North Face cutting corners in manufacturing. REI, of course, gave me a full refund. Maybe the more recent model is improved, but I won’t give North Face lightweight tents another chance, though I love their extra-strong winter tents. I’ve been dreaming of a Zpacks Plexamid, but have trouble justifying the cost. I reviewed it last spring and it was fine. I think the older models had problems, but the most recent FL 1 looked really good. My 2 cents. How about the EMS Velocity 1? Freestanding, 2lb / 8oz, side entrance, 38″ wide floor and $269. I would place the TARPTENT MOMENT DW above several of the other tents listed including the Rainbow. I’ve used a Tarptent Moment DW since it came out several years ago. Before that the original single wall Moment for about 5 years. The Moment design is Very wind-worthy and, with the ripstop inner tent and optional Crossing Pole, can be used as a 4 season tent, which I regularly do. On the AT in 10 or so section hikes, I have seen only 1 rainbow, yet I’ve seen many Notches, Protrails, Motrails, and Stratospires. Strange how the Rainbow is the only Tarptent on the list. Also, I’m pretty sure there’s more Duplexes than Plexamids. …but then again, this list isn’t necessarily a popularity contest. 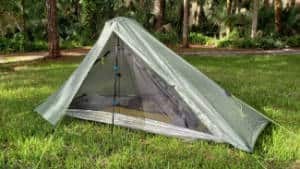 Have you had a chance to ckeck out Tarptent’s new Aeon Li? It looks pretty enticing. 5 of the tents are close or very,very, similar to the Eureka! Back Country One.. I started out using on my PCT hike in 2002. After two nights at Lake Morena I knew I was going to have to replace it or do something to relieve the pressure of being cooped up in the tent… Until I reached Warner Springs I used my Silnylon Tarp as a big Vestibule thereby leaving the Tent door open at night with just the bug Screen in Place…..The pressure was off! In my next resupply I had my base folks include the Back Country Two which I finished the trip with.. Not to Canada but to Cajon Pass which was my Goal for that year. I was able to return the Tent and they gave me my money back since I bought the Back Country Two…. Which for some reason Eureka! Stop Making…. They’ve also just stopped making the Spitfire. Both the one and two person models! I’m crushed. That tent was such a good value. Philip, I have a Tarptent Bowfin 1 and generally like it, but I’ve found its PitchLoc strut support assemblies on each end to be a little more finicky than I expected. The Rainbow looks like it may have an easier/quicker setup with most or all of the same features. I’m also interested in the Six Moon Designs Lunar Solo. Which would you go with? I backpack primarily in the Southern Appalachians, but I am heading to Philmont for 12 days in 2020. Thanks! The Pitchlocs are an acquired taste. I don’t mind them now, but they can be fussy. The Rainbow is nice because it is so low fuss. Either the Rainbow or the Lunar Solo would be fine. I’d probably go with the Lunar Solo, only because I use trekking poles, and it packs smaller. Thanks. In your experience, does one have the advantage over the other in terms of keeping out rain or limiting condensation? Not if you keep the front doors wide open. It’s really more of a function of where you set it up and what the temperature outside is.